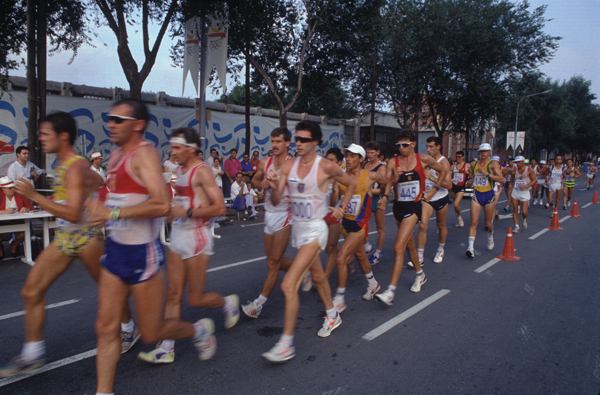 The cross country, race walk and marathon courses were designed and built to last for the duration of the Barcelona’92 Games only. The cross country course was specifically planned to take advantage of the differences in altitude of the city’s Jardí Botànic Històric (Historical Botanical Garden) in the Montjuïc Area. 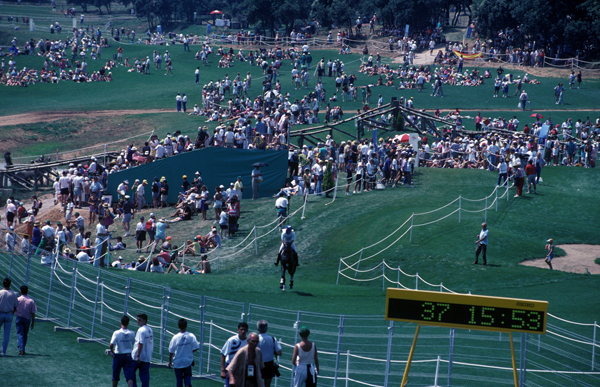 The course was designed in such a way that the athletics track adjacent to the Estadi Municipal Pau Negre (Pau Negre Municipal Stadium, which is now used mainly for hockey) was both the start and the finish. 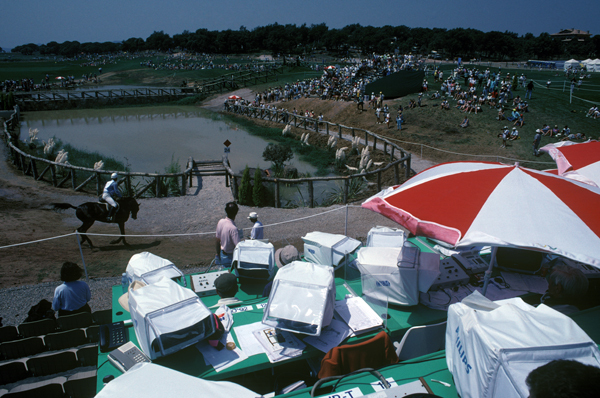 The adaptation works required to create the course were funded by Barcelona City Council, the company HOLSA and the Organising Committee for the Barcelona’92 Olympic Games (COOB’92). 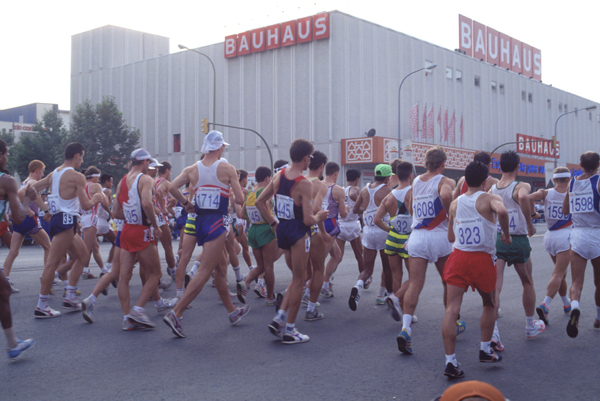 For the race walk, the course ran through Barcelona’s Zona Franca for both the men’s 20km and 50km events, and the women’s 10km event. The course was 2,000m long for the men’s events and 1,000m long for the women’s event. In both cases, the final 1.5km of the course was a route towards the Estadi Olímpic (Olympic Stadium), where the finish line was located. 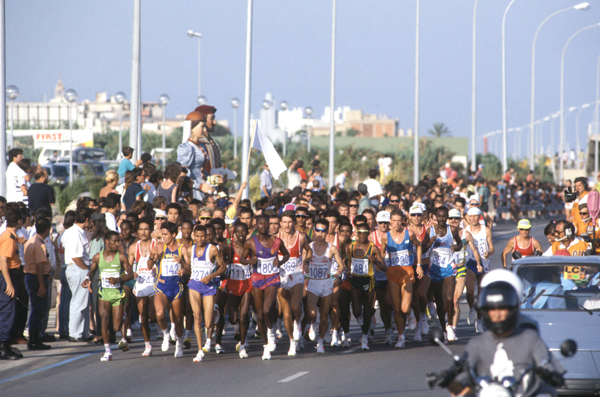 The marathon event also finished in the Estadi Olímpic, but the start line for it was located in the city of Mataró. The design of the course for the event meant that it ran 18km along the coast and then continued through the city of Barcelona, taking in several iconic places such as the Sagrada Família, the Passeig de Gràcia and La Rambla. Around one million people followed the marathon live from various points along the course. 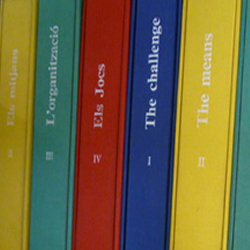 It was therefore the sport with the highest number of spectators at the Games of the XXVth Olympiad.